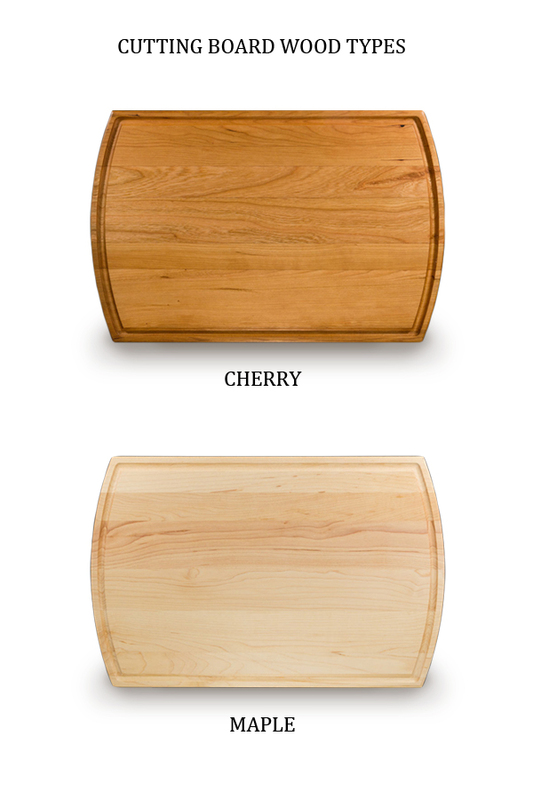 This premium American hardwood cutting board is hand-crafted from your choice of durable Cherry or Maple hardwood and features a deep groove along the edge to catch liquids. Custom laser engraved with a design and up to two lines of text. Our custom cutting boards make great gift ideas for him or her, the newlyweds, Father's or Mother's day, Christmas, and much more. 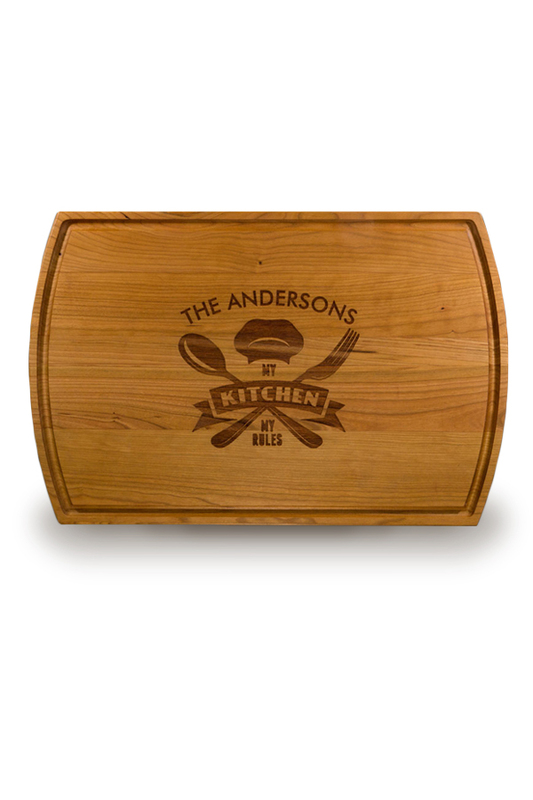 ** Cutting boards are engraved in the center of the board with the design printed above your text. For special placements, please enter in the special instructions box provided below.